The health of your trees is our absolute priority. Trust us to provide the tree care you need to keep your landscape thriving in the many seasons Iowa experiences. 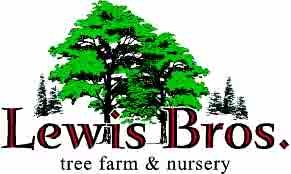 Lewis Brothers Tree Sales takes pride in providing vigorous healthy plants that our customers can enjoy for many years. In order to accomplish this goal, trees are treated for fungal diseases and insects while growing on our tree farm. When trees are transplanted into your yard, they need the same kind of care for 3 to 5 years. There are 3 major needs to get your tree established in the landscape and keep it healthy throughout its life; 10 gallons of water or 1” of rain per week, insect and disease control and fertilization. Fertilization takes place in the late summer or fall so that the nutrients can move down to the root system and are present in the spring when the tree starts growing. Tree health care is an active early approach as opposed to a reaction to a pest problem found in Iowa, such as oyster shell scale in maples and two lined chestnut borer in oaks. Evergreen trees are vulnerable to mites which are usually noticed during the summer months. Pest control will protect your trees for up to 12 months.